Tudor Hall was originally built in 1744 and was enlarged in the 1760s. 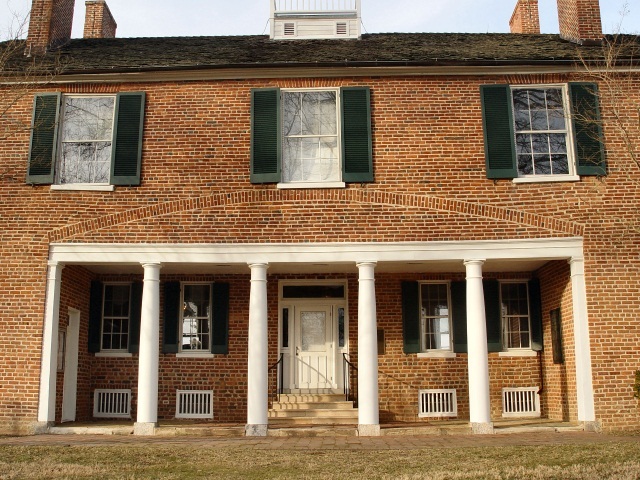 This Georgian-style house became the home of Phillip Key, uncle of Francis Scott Key, author of the Star Spangled Banner. Unusual features of the house are the inset portico, the main hall’s hanging staircase, and a “triple fireplace” in the kitchen. Maryland War of 1812 Site. Tudor Hall serves as the research library for the St. Mary’s County Historical Society and also houses the Historical Society’s bookstore with books on genealogy, and local and regional history.